In our research, the SFHC project has taken an Ecohealth approach, which adopts a holistic point of view to understand how humans interact with their environment and the implications for human health. The SFHC research project attempts to improve child nutritional status, household food security and soil fertility through use of different legume options. These options can improve the quality and quantity of food available within the household as well as provide organic inputs to improve soil fertility. 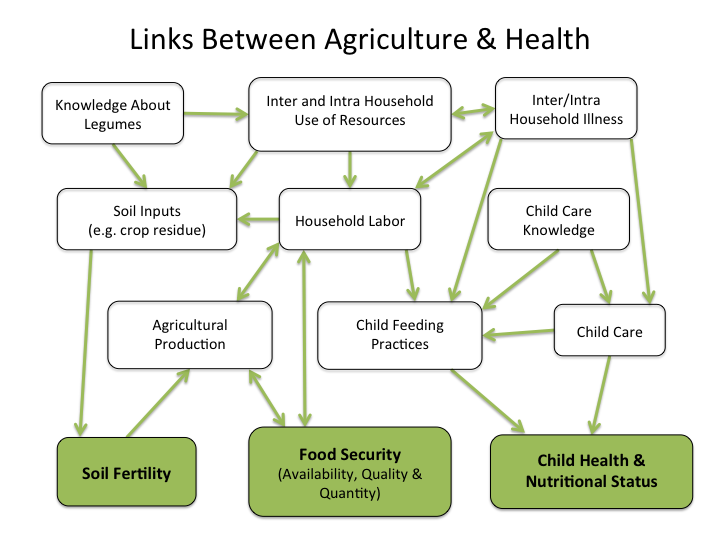 Some of the pathways between legumes and project goals are illustrated below. i. Transdisciplinarity: SFHC involves people from multiple disciplines (i.e. nutrition, social sciences, agriculture, medicine, development) in carrying out research and in analysis and dialogue about research findings and development activities. We also involve different stakeholders (e.g. hospital staff, village leaders). The project uses multiple methods and approaches in research to bridge the gap between disciplines and build new knowledge. ii. 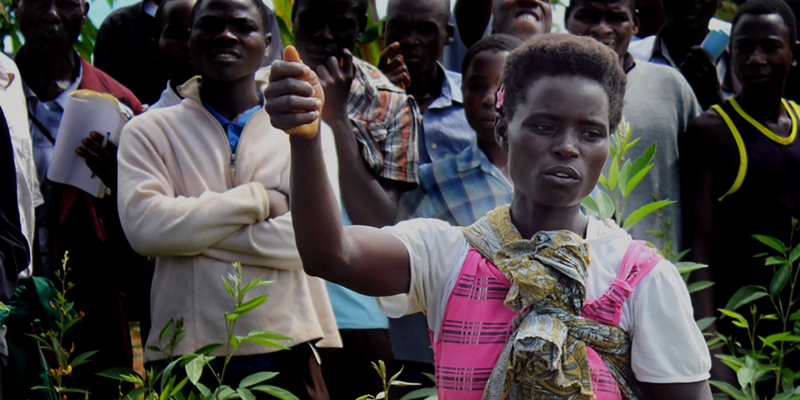 Participatory: SFHC uses a participatory approach: researchers have relied heavily on input from the Farmer Research Team (FRT) and village committees. Participating farmers have embraced the multifaceted nature of the project, and are actively involved in decision-making and project management alongside SFHC staff. Increasingly, farmers run most of the project activities, including a Community Legume Seed Bank. FRT members are part of the “staff,” and FRT has formed its own formal organization: the Ekwendeni Farmers Association. The assumption is that resource-poor farmers have valuable knowledge to contribute to the assessment of organic matter technologies for improving food security and health. iii. Equity and gender: The project integrates equity concerns into programming and research activities. Gender equity is a key focus; the project encourages men to be more involved in child feeding, and gender time use has been a major focus of the SFHC program.